Students in Kellogg Community College instructor Simon Thalmann’s JOUR 111: Mass Media Environment class put their journalism skills to work this past week collecting survey responses to get an idea of how current KCC students voted on the major issues in the Nov. 6 General Election. 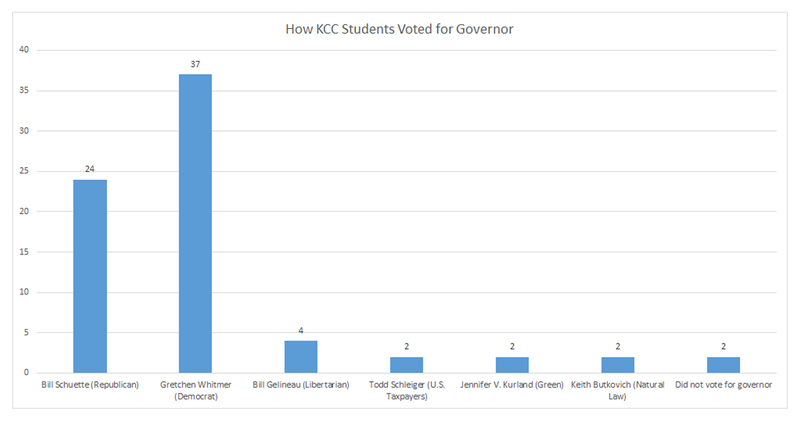 Surveys were conducted anonymously and included questions about how students voted for governor, KCC Board of Trustees candidates and the three major statewide proposals. Data was only calculated for respondents who indicated they were KCC students currently enrolled in at least one class at KCC. Surveys were distributed by JOUR 111 students Mohamed Awad, Chloe Bedwell, Alexander Burke, Makenna Fredenburg, Kory Huckfeldt, Kevin Ruiz, Olivia Surber and Xeidler Trayling. Findings from the surveys are below. 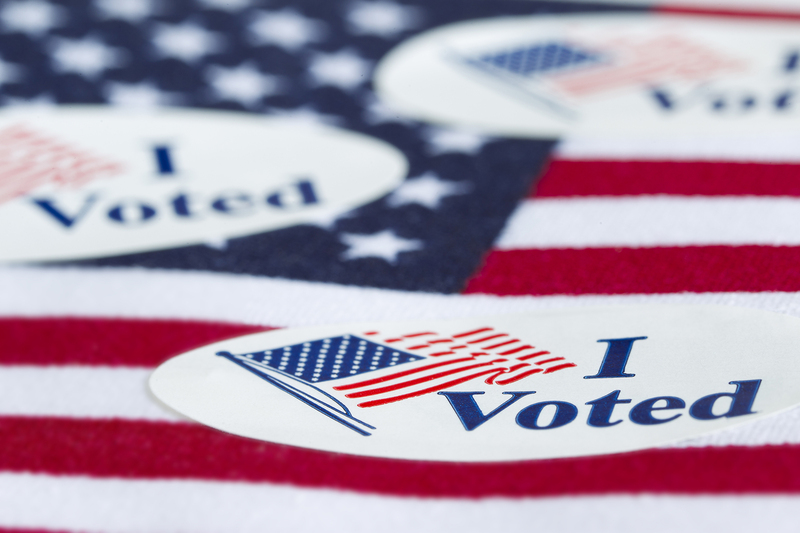 Click here to compare our results to the official statewide and Calhoun County election results from the Lansing State Journal. 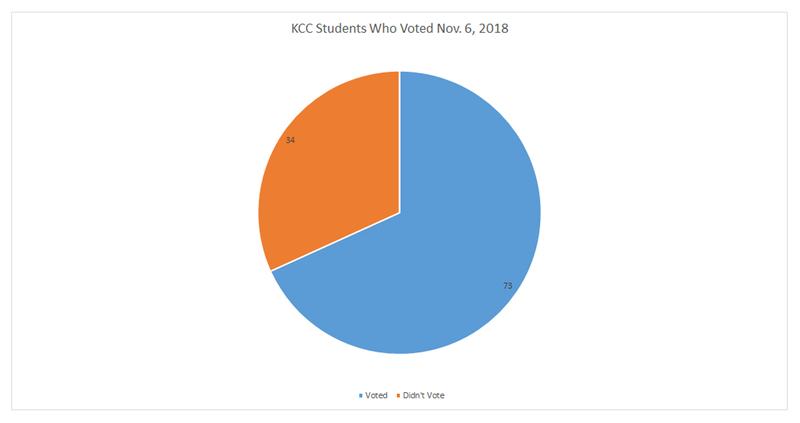 More than two-thirds of the 107 KCC survey respondents — approximately 68.2 percent — indicated they voted in the Nov. 6 General Election, a percentage much higher than the reported 57.5 percent turnout among registered voters statewide. And that in an election that saw the highest turnout in nearly 50 years for midterm elections in Michigan. Of the 73 respondents who voted, just over half — approximately 50.7 percent — voted for Democrat Gretchen Whitmer, compared to the 32.9 percent who voted for runner-up Republican Bill Schuette. Statewide, Whitmer bested Schuette 53.34 percent to 43.81 percent. 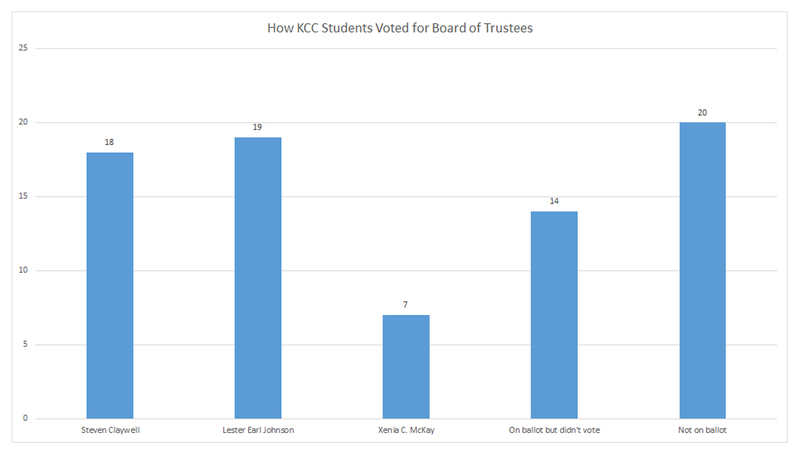 KCC survey votes broke with the general public when it came to the KCC Board of Trustees, for which three candidates were running for two open seats. Respondents gave the most votes to Lester Earl Johnson and current Board Chair Steve Claywell; final election tallies favored Claywell and Xenia McKay. The majority of respondents — 46.6 percent — indicated the issue was either not on their ballot or was on their ballot and they didn’t vote for a candidate. Proposal 1 was “a proposed initiated law to authorize and legalize possession, use and cultivation of marijuana products by individuals who are at least 21 years of age and older, and commercial sales of marijuana through state-licensed retailers.” Of the 73 respondents who voted, approximately 65.8 percent indicated they voted in favor of the proposal, compared to 32.9 percent opposed. Statewide, voters approved the proposal 55.91 percent to 44.09 percent. Proposal 2 was “a proposed constitutional amendment to establish a commission of citizens with exclusive authority to adopt district boundaries for the Michigan Senate, Michigan House of Representatives and U.S. Congress, every 10 years.” Of the 73 respondents who voted, approximately 71.2 percent indicated they voted in favor of the proposal, compared to 26 percent opposed. Statewide, voters approved the proposal 61.24 percent to 38.76 percent. 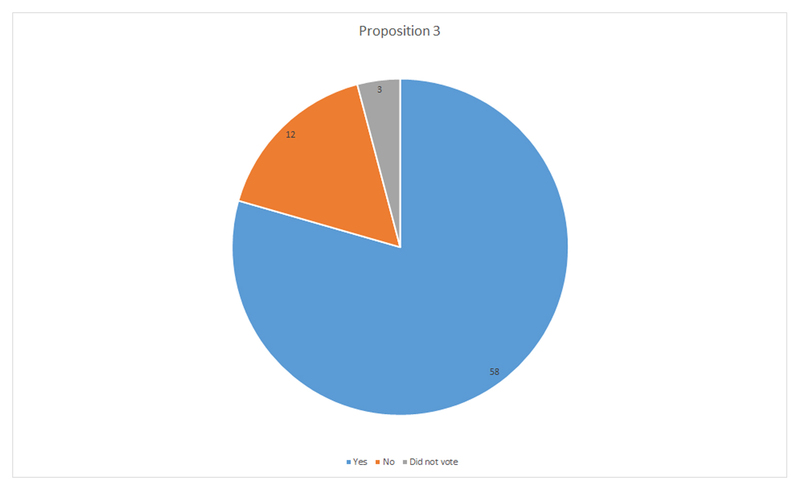 Proposal 3 was “a proposal to authorize automatic and Election Day voter registration, noreason absentee voting, and straight ticket voting; and add current legal requirements for military and overseas voting and post-election audits to the Michigan Constitution.” Of the 73 respondents who voted, approximately 79.5 percent indicated they voted in favor of the proposal, compared to 16.4 percent opposed. Statewide, voters approved the proposal 66.9 percent to 33.1 percent. For more information about this project or about studying journalism at KCC, contact Thalmann at thalmanns@kellogg.edu. Registration for Thalmann’s JOUR 112: News Writing class, which will run from 6 to 9 p.m. Wednesdays beginning Jan. 16, is open now.